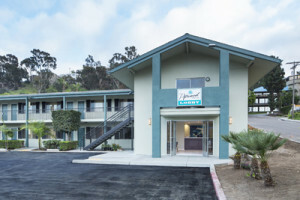 Stay with us at our newly renovated retro-modern Atwood Hotel, Mission Valley- San Diego, California. It's another beautiful day at the Atwood Hotel. 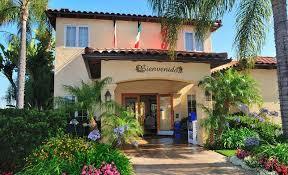 Whether you're traveling on business or pleasure, our hotel is the best choice in Mission Valley. Keeping the charm of it's past while updating the entire property with modern amenities that focus on the ultimate guest experience. The retro styled cabana swimming pool area and 10 person Jacuzzi surrounded by beautiful landscape and palm trees awaits you. Whether you are having a cocktail at the bar or a meal in the restaurant, we are here to serve you. Our spacious renovated rooms allow you to relax and stay productive with modern amenities including free Wi-Fi and large flat screen TVs. 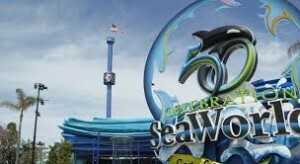 Central located in Mission Valley and minutes from the San Diego Zoo, SeaWorld, Balboa Park and downtown San Diego. 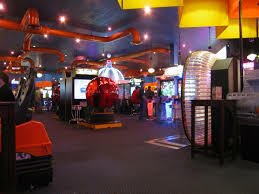 Items on the Dave & Buster's menu are offered from early lunch until late night and feature a wide variety of food. The selections include pastas, burgers, steaks, seafood, chicken and desserts. The menu is updated to reflect current trends and guest favorites. Some locations serve Sunday brunch. Buffets are available for special events and private parties. All D&Bs offer full bar service. 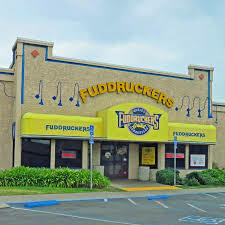 Welcome to Fuddruckers in Mission Valley!Fuddruckers in Mission Valley is located right off the 8 freeway in the Mission Valley Westfield Plaza right across from Old Navy and Marshalls on Camino De La Reina. It's one of Mission Valley's great date night destinations, and because Fuddruckers is so casual and spacious it's kid friendly so you can bring the whole family to dinner. Whether you visit us in the heart of Mission Valley, or in the city of Oceanside, our staff looks forward to welcoming you with a smile. 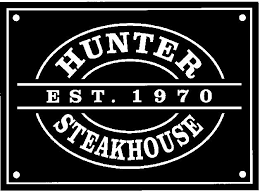 We know you’ll find our hand-cut steaks, award winning prime rib, fresh seafood, and many other home made dishes to your liking. 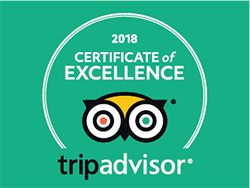 We’re truly honored to have you as our guests. 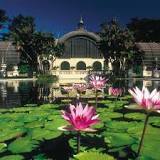 Balboa Park is a 1,200-acre urban cultural park in San Diego, California, United States. In addition to open space areas, natural vegetation zones, green belts, gardens, and walking paths, it contains museums, several theaters, and the world-famous San Diego Zoo. 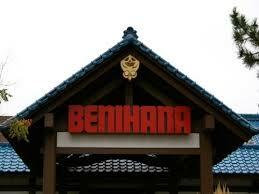 There are also many recreational facilities and several gift shops and restaurants within the boundaries of the park. Placed in reserve in 1835, the park's site is one of the oldest in the United States dedicated to public recreational use. Coronado, also known since the 1980's as Coronado Island (Spanish for "crowned one"), is a resort city located in San Diego County, California, across and around San Diego Bay from downtown San Diego.Its population was 24,697 at the 2010 census, up from 24,100 at the 2000 census. It is part of the San Diego-Carlsbad, CA Metropolitan Statistical Area. Coronado lies on the geographic combination of anisland and a tombolo connected to the mainland called the Silver Strand. Coronado is a tied island, connected by a tombolo. In 2012, Dr. Stephen Leatherman, Director of the Laboratory for Coastal Research, ranked Coronado Beach as the best beach in the United States. 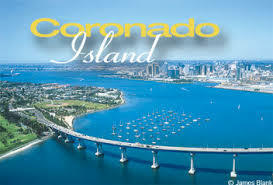 Coronado is Spanish for "the crowned one", and thus it is nicknamed The Crown City. There have been three ships of the United States Navy named after the city, including the USS Coronado (LCS-4). The Embarcadero is home to the San Diego cruise ship terminal, the USS Midway museum ship at Navy Pier, the Star of India and seven other historic vessels belonging to the San Diego Maritime Museum, and various restaurants and shops from the North Embarcadero down through Seaport Village. The Port is redeveloping the historic Broadway Pier to create a second cruise-ship pier and terminal. That project is slated for completion in December 2010. 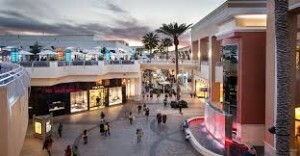 Fashion Valley Mall is an upscale, open-air shopping mall in Mission Valley in San Diego, California. 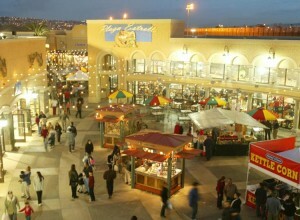 The shopping center has over 1.7 million square feet (158,000 m²) of leasable floor area, making it the largest mall in San Diego and one of the largest in California. 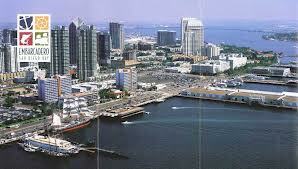 The Gaslamp Quarter is a district of San Diego, California. 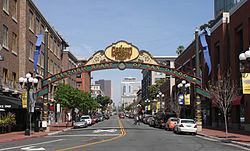 It is a 16½ block historical neighborhood in Downtown San Diego, and is the site of several entertainment and night life venues, as well as scheduled events and festivals, including Mardi Gras in the Gaslamp, Street Scene Music Festival, Taste of Gaslamp and ShamROCK, a St. Patrick's Day event. Petco Park, home of the San Diego Padres is located one block away in downtown San Diego's East Village. The area is listed as an historic district on the National Register of Historic Places as Gaslamp Quarter Historic District. Its main period of development began in 1867, when Alonzo Horton bought the land in hopes of creating a new city center closer to the bay, and chose 5th Avenue as its main street. After a period of urban decay, the neighborhood underwent urban renewal in the 1980s and 1990s. Located in the heart of San Diego's Mission Valley within minutes of Hotel Circle and area attractions, Riverwalk Golf Club's 27 holes of magnificent golf, superb amenities and outstanding service have earned it recognition among the region's premier semi-private golf courses. 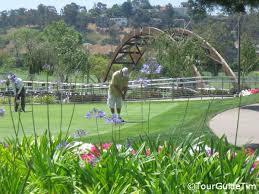 As one of San Diego’s top golf courses, we have become a premier destination for San Diego and visiting golfers. Here at Riverwalk Golf Course, we work continuously to improve the course, the facilities and the overall San Diego golf experience. 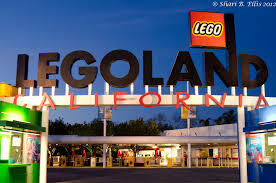 Legoland California is a theme park and miniature park located in Carlsbad, California, based on the Lego toy brand. On March 20, 1999, it became the third Legoland park to open, and the first Legoland outside of Europe. The park is owned by Merlin Entertainments, the largest theme park firm in Europe, and second largest in the world after Walt Disney Parks and Resorts. Marine Street Beach is a sandy beach in La Jolla located at the west end of Marine Street and Sea Lane. The north end of the beach has apartments towering overhead and the south end has high-end homes above the shore. Picturesque mossy rock formations typical of La Jolla beaches can be found at both ends of the beach. On sunny summer days this beach can be packed as it has more sand than many of the others in the area. Marine Street Beach may be one the longer beaches in La Jolla, but it doesn’t have a parking lot. Get here early and try to find street parking nearby. There is a stair to the beach at the end of Marine Street. Another option is to walk on the rocks from nearby Windansea or Hospital Beach, but the street parking is slim pickins near them too. 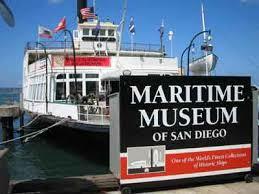 The Maritime Museum is located on the west side of North Harbor Drive, between the ends of Ash Street and Grape Street, south of San Diego International Airport. Ocean Beach lies on the Pacific Ocean at the estuary of the San Diego River, at the western terminus of Interstate 8. Located about 7 miles (11 km) northwest of Downtown San Diego, it sits south of Mission Bay andMission Beach and directly north of Point Loma. The O.B. community planning area comprises about 1 square mile (742 acres), bounded on the north by the San Diego River, on the west by the Pacific Ocean, on the east by Froude St., Seaside St. and West Point Loma Boulevard, and on the south by Adair Street. 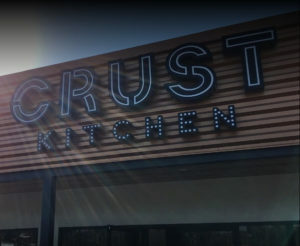 Las Americas Premium Outlets is a 560,000 square feet (52,000 m2) outlet mall in San Ysidro, San Diego, California located directly on the Mexico-United States border just west of the San Ysidro Port of Entry. Qualcomm Stadium is a multi-purpose stadium in San Diego, California, in the Mission Valley area. The Stadium is host to San Diego Chargers, SDSU AZTEC football, Holiday Bowl, Poinsettia Bowl, and more. 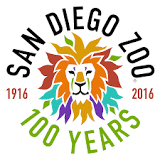 The San Diego Zoo is a zoo in Balboa Park, San Diego, California housing over 3,700 animals of more than 650 species and subspecies. Its parent organization, San Diego Zoo Global, is one of the largest zoological membership associations in the world, with more than 250,000 member households and 130,000 child memberships, representing more than a half million people.The San Diego Zoo was a pioneer in the concept of open-air, cageless exhibits that re-create natural animal habitats. It is one of the few zoos in the world that houses and successfully breeds the giant panda. In 2013, the zoo added a new Koalafornia Adventure exhibit, providing an updated Australian animal experience. 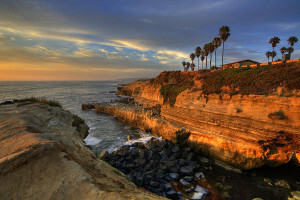 Sunset Cliffs is a neighborhood in the Point Loma community of San Diego, California. 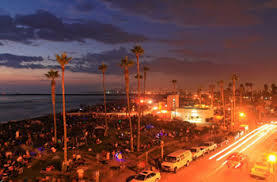 It is bordered by the Pacific Ocean on the west, Ocean Beach on the north, Catalina Blvd. and Santa Barbara St. on the east, and Sunset Cliffs Natural Park on the south. The main street of the area is Sunset Cliffs Blvd. The neighborhood is almost entirely residential, with curved contour-following streets and custom homes. 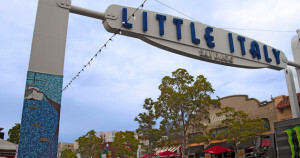 A small commercial strip is found along the northern end of Sunset Cliffs Blvd. running into Ocean Beach. The area contains Sunset View Elementary School, part of the San Diego City Schools, as well as a private elementary/middle school called Warren-Walker School. 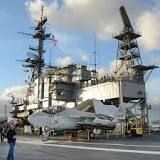 The USS Midway Museum is a maritime museum located in downtown San Diego, California at Navy Pier. The museum consists of the aircraft carrier Midway (CV-41). The ship houses an extensive collection of aircraft, many of which were built in Southern California. Westfield Mission Valley, formerly Mission Valley Center, is a shopping mall in Mission Valley area of San Diego, California, owned by The Westfield Group. 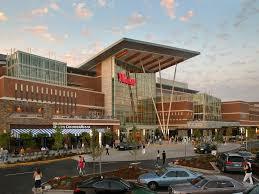 Its anchor stores are Macy's, Macy's Home & Furniture Store, Nordstrom Rack, and Target. There is also an AMC Theatres multiplex.